The Photographers' Gallery is showing some 35 black-and-white photographs, all of which are available to buy as signed prints, by Sebastião Salgado until Sunday 01 November. Prices range from £4,850 ($7,200) plus VAT to £9,600 ($14,300) (prices correct at time of going to press). 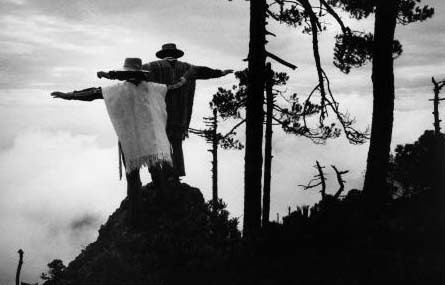 The subject matter comes from Salgado's award-winning series 'Other Americas'. It documents the photographer's travels in the late 1970s and early 1980s in the then relatively unknown parts of Latin America - Ecuador, Guatemala, Bolivia, Peru, and Mexico - as well as his native Brazil. Unknown but with populations undergoing political turmoil, industrial growth and rising inequality. These pictures show the photographer's quiet, painterly eye at work as he captures rich and poignant narratives that allow the viewer to react to and fully interpret the subject matter. For investors and enthusiasts, his photographs of children ('Brasil 1981') might easily recall Irving Penn's 1960 'Children in the Peruvian Andes' of two small children flanking a side table that is such an icon of 20th century photography. In Salgado's 'Mexico 1980' two children react like wild creatures, frightened by their first encounter with the stinging teeth of a desert cactus that's as big as they are. In his 'Brasil 1983' (pictured above) two behatted, ponchoed figures stand atop a rocky outcrop. Their balancing act, precarious, each supporting the other, but seemingly nerveless as they look into an airy abyss beyond (Salgado's famous depth of field at work). Totally arresting, analogue photography of this calibre has a special place in the art of photography. Like a painting (a depiction using a different medium), it allows interpretation on many levels, its complex narrative unfolding further each time you look at it.